Goodbye Google Website Optimizer, Hello Content Experiments! Google has announced the release of Google Analytics Content Experiments, which brings website testing into Google Analytics. This means Google has decided to retire Google Website Optimizer as a standalone tool, where by now website testing will be fully integrated into Google Analytics. At TechWyse, we have been testing this new feature in Google Analytics and here’s our feedback. Google Analytics content experiments feature is designed with step by step instructions on how to implement tests for identifying pages that convert the best. Content Experiments reuses Google Analytics tags so that you only need to add one additional tag to the original page. In short this simply means that you are not required to add the tracking script to both original and variation pages. All that’s required is to add the control script to original page that controls the version. Content Experiments helps you optimize for goals you have already defined in your Google Analytics account. No separate goal page is needed for the experiment; it takes the default conversion/goal setup that from the Google Analytics account. Google Website Optimizer test variation page source will always be ‘direct’ (in Google Analytics) as it’s redirecting from original page when the variation page is triggered. We had a fix for this issue and this has been mentioned in our blog. Now, with this content experiment feature in Google Analytics, it would get fixed in the system without the need for any additional fixes. Advanced segmentations can be applied to the content experiments data. Here’s a list of a few differences that we noticed with Content Experiments compared to the standalone Google Website Optimizer tool. Multi Variation Test methods has been removed. 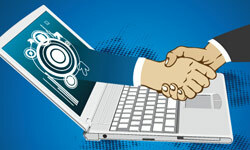 Google has mentioned that their team is looking forward to implementing mechanisms within Content Experiments to support experimentation of dynamically generated content. It’s safe to expect a feature like multivariate testing within Content Experiments very soon. There are a maximum of 5 variations per experiment. 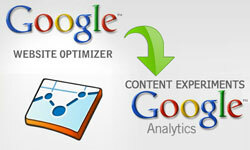 Google Website Optimizer allowed for unlimited variations. There are a maximum of 12 tests per profile allowed. It’s possible to create more than 12 tests per profile, you just can’t run them all at once. Tests will automatically expire after 3 months. This was done in-order to prevent tests that are left running without a statistically significant winner. With the Content Experiments feature enabled, Google analytics has become a stronger and more robust analytics tool. If you are using the standalone Website Optimizer tool, begin migrating your optimizer tests to Content Experiments. The last day you can access Google Website Optimizer is August 1, 2012. So get migrating before it’s too late! In the past I have been interested in testing a website. However, the optimization tool provided by Google at that time seemed to be complicated. I hope that the integration of Google Optimizer in Google Analytics makes the process of testing a lot easier and intuitive. Elan, where will you go for the multivariate testing now? I think it’s a good thing in a way. 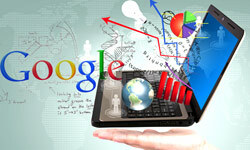 Google will favor good & rich content over seo or backlink rich pages that lack of good content. You got to admit that for a surfer that’s looking for valuable information is really hard nowdays! I admit that it already started to affect my previous work, but the web evolves and we have to find ways to evolve with it! Let’s not get mad, let’s follow the wave! We help people out migrating their multivariate experiments to Convert Experiments (tool that launched yesterday). Want to give it a try for a review? I can get you access as early as Monday.